LaLiga, Spain’s top-flight football competition, has appointed IMG as its exclusive commercial agency for global sponsorship agreements. The long-term deal will see IMG market packages to attract new global LaLiga partners. 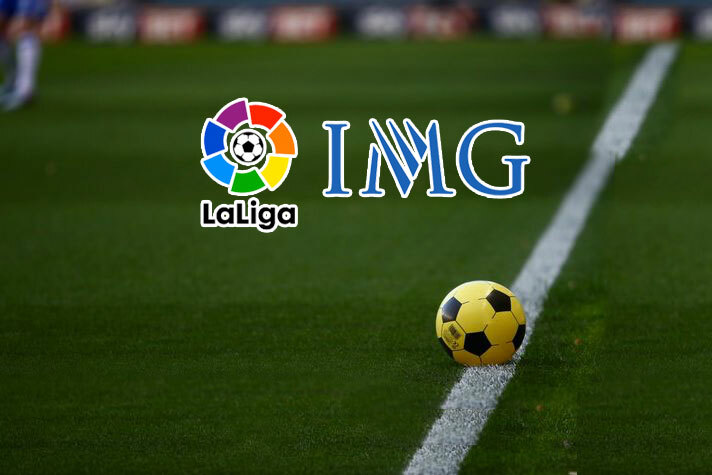 IMG and LaLiga will develop innovative sponsorship packages, taking advantage of the league’s content and technology to help promote brands. The agreement with IMG comes as LaLiga is experiencing rapid growth after embarking on an ambitious international expansion journey. The league is working hard around the globe to grow its fanbase and to fuel passion amongst existing fans. Additionally, LaLiga is committed to helping grow football around the world, as love for the sport in general generates fans for LaLiga. LaLiga has existing global deals with 20 international partners including Nike, EA Sports, Tag Heuer, Santander, Sportium, Mahou, ElCorte Inglés and Unilever’s Clear Men and Rexona brands, as well as nine national sponsors. IMG’s football sponsorship client portfolio also includes Conmebol through FC Diez Media – IMG’s JV with Perform Group – and Chinese Super League (CSL).